Other Tyne Idols-friendly News snippets from across our region. THERE ARE places left for THE Bay Foodbank Fundraising Event, leaving the Gibraltar Rock, Tynemouth on Sunday 21 October, 2018 at 3pm. “The Tyne Idols Tours vintage bus will pick us up from the Gibraltar Rock, then take us on a ‘mystery tour’ of iconic sites where we can celebrate the music, film and TV made in our wonderful region. We'll hear the stories, the connections, the coincidences and the gossip, in a three-hour trip on the classic double-decker bus with two refreshment stops at iconic locations, and all linked together with musical gems and a running commentary from Mr Ray Laidlaw of Lindisfarne fame. “Passengers are encouraged to bring along their favourite nibbles and drinks (plastic glasses only please) to add to the fun atmosphere! The bus will then return us to the Gibraltar Rock at the end of the tour. “The tickets are priced at £20 each on a first-come, first-served basis. (A percentage of ticket sales will go to the Food Bank.) Please note that there is no wheelchair access due to the age of the bus, sorry. “Chris Phipps — The only man who can connect Madonna, Miles Davis and John Shuttleworth!" LAUNCH EVENT — Books On Tyne Festival on Saturday, 24 November, 2018 at 7pm at the Bewick Hall, Newcastle City Library. "WOW, the Tyne Idols tour was just brilliant, the team are all so friendly and helpful and the tour really was so much fun. My 14 year old daughter is really getting into her music and is a big fan of Lindisfarne so this was ideal for her as she got to meet Ray Laidlaw who was hosting the Music and Movies tour. Not only did he take the time to chat with her but he signed her records and posed for photos too. Special guest Marty Craggs was there and he did the same..."
"So if you read last week’s blog all about ten things to enjoy in the North East during July you will know that we left you hanging with a teaser for the last idea. Well this week our blog is all about a rather wonderful experience. "If there is one thing for certain in the North East it is that we have an extremely rich history and heritage worthy of celebration. If the musical, film and television history of our region is something that interests you then we have just the ticket for you, guaranteed to fill you with North East pride." Join us for a celebratory evening to commemorate one of the city’s legendary cultural figures, movie showing complete with live music and after-party! Until his death in 2012, Keith Crombie was the internationally-renowned Geordie Jazz Man, presiding over Newcastle's long-standing Jazz Café. A contrary, mysterious figure who spent decades refusing to bow to musical tides, Keith's story echoes that of UK Jazz, intersecting with the scene's growth in the UK in the 60s, and with some of the world's most renowned and celebrated figures. A mystery to many of his patrons, Keith was at the epicentre of creativity in Newcastle. His closest friends and confidantes included local, national and internationally renowned musicians and thespians — with the Jazz Café the pride of the city's live music scene. But what about the man behind the mystery? Who was he? How did he get started, and where did he come from? And were the stories about him heading the Kray twins off at Newcastle Central Station before their planned takeover of the city even true? Filmmaker Abi Lewis has created a fitting tribute to this idiosyncratic and inspirational counterculture figure. Digging beneath the tough façade and the legends, Abi uncovers the true story of a passionate and inspiring grassroots stalwart of the UK independent music scene. The film features a range of famous faces, including Eric Burdon of The Animals, Harry Connick Jr, and jazz legend Wynton Marsalis. "The Big Score – Jazz On The Big Screen"
"There are few great Jazz movies – but there are many movies made great by jazz." 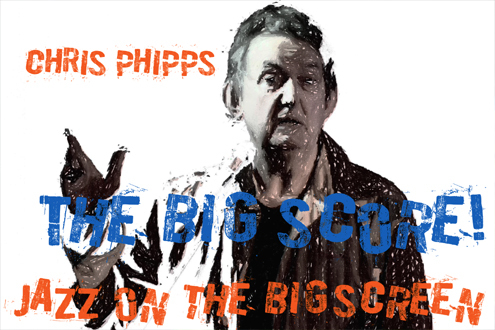 Music historian Chris Phipps guides you through the extraordinary sounds unleashed when the giants of jazz hit the big and small screen from 'Alfie' to 'Ironside' to 'The Man with the Golden Arm' and our own 'Get Carter'. This is a story of screen legends ranging from Brando to Sinatra to Caine, whose signature roles are inseparable from the compelling scoring of jazz composers and musicians including Duke Ellington, Miles Davis, John Lewis, Lalo Schifrin, Sonny Rollins – and Quincy Jones whose career has graced both cinema and television from 'The Pawnbroker' to 'Call Me Mr Tibbs'. Beyond the incredible music there is a story of emancipation as what was dismissed as fringe race music literally went wide-screen. Chris Phipps is a music and media historian well known to local and national radio and television audiences and his contributions range from the 'Black Sabbath – THE END' movie to Radio 4's 'Bryan Ferry's Jazz Age'. He is also the author of 'Forget Carter', the definitive account of Tyneside on screen. Sunday for Sammy, unofficially known as 'The Geordie Command Performance', will return to Tyneside on Sunday, 18 February 2018 but this time at a new venue. The show, first held as a tribute to Geordie actor Sammy Johnson in 2000, has been presented at Newcastle City Hall for nearly every performance. However, in recent years the demand for tickets has far out-stripped the supply. In 2016 the two spectacular shows sold-out in a day and thousands of disappointed fans couldn’t get tickets. In 2018, Sunday for Sammy will relocate to Newcastle's Metro Radio Arena for two theatre style performances. 5,000 tickets will be available for each show, more than doubling the available tickets compared to previous years. The show’s producer, Ray Laidlaw urged everyone to book tickets as soon as possible. “Sunday for Sammy is unique; no other part of the country has an event that celebrates its regional popular culture on such a scale while supporting the next generation of performers. Tickets costing £35, plus 55p facility fee and bookings fees, go on general sale from 10am on Wednesday, 22 March and are available online at metroradioarena.co.uk from the booking hotline number 0844 493 6666, or in person from the Metro Radio Arena Box Office. Tickets will also be available from Newcastle Theatre Royal online theatreroyal.co.uk or call the Box Office on 08448 11 21 21. (All calls are charged at 7p a minute plus your phone company’s access charge, calls from mobiles may vary, please contact your operator for details.) For Groups of 10+ please call Group Bookings on 08448 11 21 22. A fiftieth anniversary tribute to Britain's first pop pioneer. 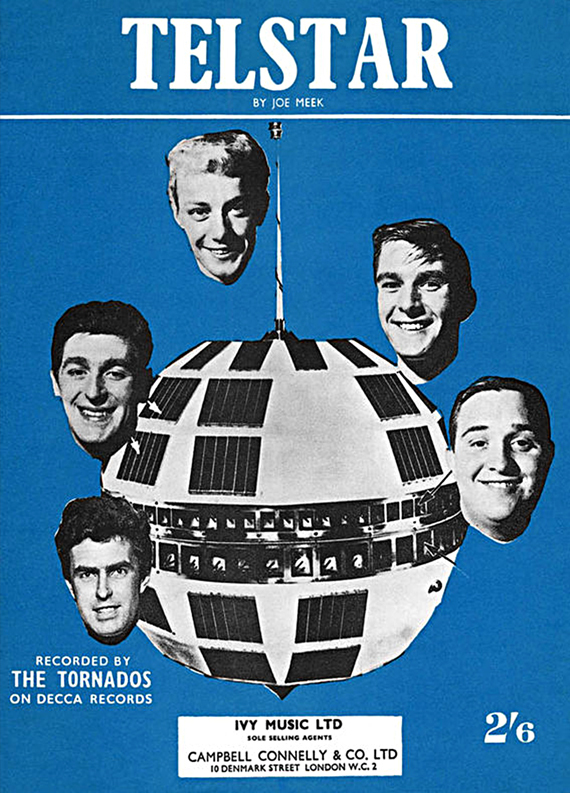 Joe Meek launched the extraordinary instrumental 'Telstar', ushering in an age of electronic, ambient and experimental sounds. Documentary film maker Chris Phipps draws on personal encounters with many of Joe Meek's recording stars from The Honeycombs to The Tornadoes. All this will re-create Meek's "New World" in an extraordinary mix of shotguns and satellites! Please note there are two events this evening, beginning at 7.30pm and 8.45pm. Admission FREE! Shake your hips with Dr Phipps… discover the fascinating story of pop television's craziest dance crazes from The Frug to The Popcorn! Music and media historian Chris Phipps explores the moves from every fad and cash-in ever to rip up the dance floor or cut a rug over the decades from The Twist through Northern Soul to Acid Jazz. Ever attempted The Ooble or The Crowle? If so then this is for you! Bust a move!